The conference’s excursion (June 5) will be to the Getty Center in Los Angeles, California, a world-class museum that sits on a hilltop with a panoramic view overlooking the Los Angeles basin all the way from downtown Los Angeles to Santa Monica and the Pacific Ocean. The museum houses the collection J. Paul Getty, which includes pre-20th-century European paintings, drawings, illuminated manuscripts, sculpture, and decorative arts; 19th- and 20th-century American, European, and Asian photographs; contemporary and modern sculpture; and Robert Irwin’s 134,000-square-foot Central Garden, designed specifically for the Getty Center. A dinner banquet will be held immediately after the excursion. The excursion will take place immediately following the group photo on Thursday afternoon. 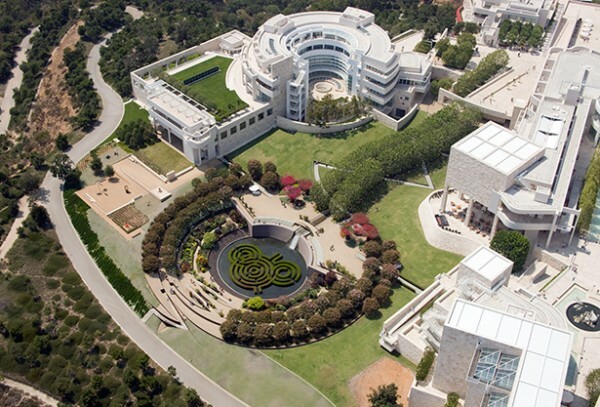 The busses will pick up at 3699 Watt Way, Los Angeles, CA 90089 (map)(geocode: 34.0203825,-118.2873677) at 1PM on June 5, and take us to the Getty Center. A box lunch will be provided on the busses. At 4:30PM, we will board the busses again and travel to the Dorothy Chandler pavilion in downtown Los Angeles for the Banquet. At 8:30PM the busses will bring everyone back to the USC campus. Unfortunately, we are completely full, and will not be able to accommodate any more guests wishing to participate in the excursion.